Breast cancer is a malignant (cancerous) growth that begins in the tissues of the breast. Cancer is a disease in which abnormal cells grow in an uncontrolled way. Breast cancer is the most common cancer in women, but it can also appear in men. Breast cancer is one of the greatest fears that women face when they reach menopause and are offered estrogen based hormone replacement therapy. There is a lot of media coverage suggesting links between estrogen based hormone replacement therapy at menopause and breast cancer. There is probably no single cause of breast cancer. Early breast cancer is usually painless. It is most likely that there are a number of triggers - genetic, familial, environmental and even psychological that when combined stimulate the cancers to become active. Estrogen dominance is commonly the result of exposure to environmental estrogens that disrupt normal hormonal action – such exposure may be accidental or due to lifestyle choices. In many women estrogen dominance is common from the long-term use of birth control pills and hormone replacement therapy (HRT). Estrogen dominance is linked to breast cancer. The issue of breast cancer and estrogens has been highly publicized in the media in recent years and there is often a great deal of concern for women when faced with the risks versus the benefits of using estrogen to manage menopausal symptoms. There is probably no single cause of breast cancer. Dr John Lee, the pioneer of natural progesterone cream for treatment of menopause, before his death wrote a book called, “What your Doctor may not have told you about Breast Cancer”. This work clearly and concisely outlines the vital role progesterone has in the breast and in prevention of breast cancer. It is highly recommended reading. Dr John Lee, in his book ‘What Your Doctor May Not Have Told You About Breast Cancer’ outlines the vital role progesterone plays in the prevention of breast cancer. Early research (conducted in 1985 by Chang et al.) suggested that progesterone had an inhibitory effect on the spread of cancer. This was a small study with only 40 women but it opens the way for further research into the full effects of progesterone in the fight against breast cancer. There is some evidence that testosterone has a protective effect against breast cancer, but more research is still needed in this area. Estrogen alone will not cause breast cancer, but does stimulate breast tissue to grow. Low progesterone levels due to a failure to ovulate (anovulation) regularly may increase the risk of developing breast cancer. The use of synthetic progesterones in hormone replacement therapy increases the risk of developing breast cancer by one in every 10,000 cases. Progesterone (not synthetic analogues) is likely to have a protective effect on breast tissue by protecting against over-stimulation due to estrogen. What is benign breast disease? How do I find breast disease? 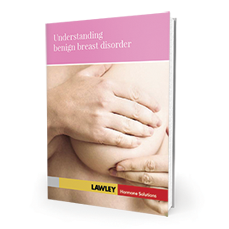 What causes benign breast disease? Who develops benign breast disease? How dangerous is benign breast disease? How is benign breast disease treated? What can I expect at my doctor’s visit? What are the pros and cons of natural progesterone treatment versus synthetics?